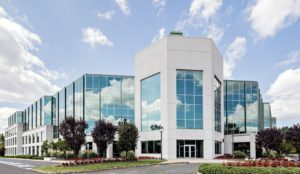 OAKBROOK TERRACE, Ill., May 15, 2017 /PRNewswire/ — As part of the rapid growth in Magnate Worldwide’s portfolio of companies, international freight shipping group Somerset Marine Lines (SML) is to become a branch of newly-acquired Masterpiece International, Ltd.
Somerset Marine Lines office in Cranford, NJ. Since 1989, New York based Masterpiece International, Ltd. has provided exceptional shipping for museums, galleries, art fairs, auction houses, and more. Its services include international forwarding, installation and de-installation, consultation and coordination of exhibitions or special moves, and full supervision services at airports. Find out more at www.masterpieceintl.com.